In the 2 hour lesson we will go over different techniques and manouvres. By this stage the focus has moved heavily onto your timing when surfing the wave and manoeuvres you would like to be able to complete on the wave. With more advanced theory being brought in alongside fitness & health advice. You would be happy paddling out in the appropriate conditions. Video analysis can be used from this point onwards to illustrate performance with the Intermediate Surfers Lessons. Join us for an intermediate surfing day. We have two intermediate surfing days coming up, in June & September. 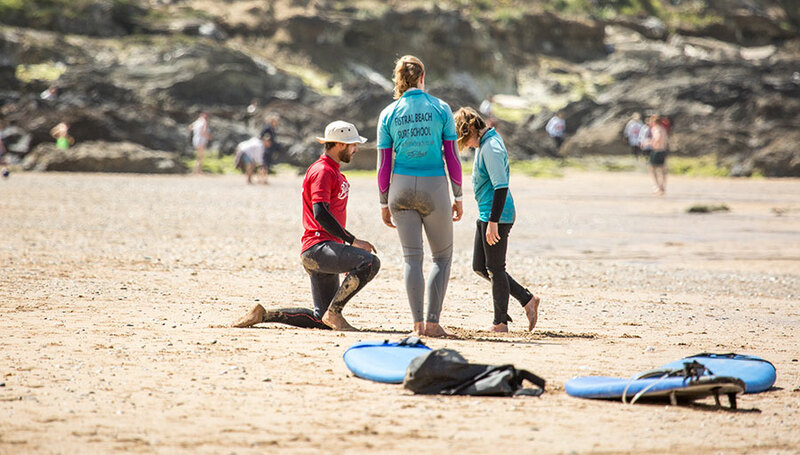 Each intermediate surfing day offers a full day of coaching, aimed at those surfers who have been starting to paddle out the back. In your small group of 5 you will have two water sessions and a video analysis session. Each surfer will have plenty of time to identify the areas that they want to work and improve.